Dr. Chandrakumari Raghuram Shetty is the Group Medical Director of NMC Health. Along with her husband, Dr. B. R. Shetty, she has been a pioneer in establishing and developing the private healthcare sector in the UAE. Dr. Shetty has been instrumental in establishing Centers of Excellence in various units of NMC Healthcare. She has been actively involved in the conception, planning, design, execution and management of various healthcare facilities besides driving critical healthcare initiatives. Under her leadership, NMC Specialty Hospital, Brightpoint Royal Women’s Hospoital and NMC Royal Hospital in Abu Dhabi; NMC Specialty Hospital and NMC Hospital in Dubai and NMC Specialty Hospital in Al Ain; have received accreditation from the Joint Commission International (JCI). Dr. Shetty supervises a diversified multi-cultural workforce within NMC Health comprising of over 2,000 doctors and 10,000 medical staff. In her present role, Dr. Shetty chairs various committees including Governance, Infection Control, Patient Rights, Care of Patients, Quality and Facility Management. 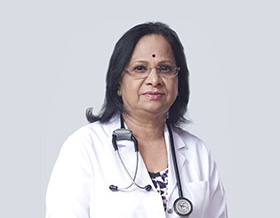 Despite of her wide-ranging responsibilities, Dr. Shetty remains rooted to the basic ethos of the healthcare profession of providing quality care with a human touch to all patients by continuing to remain as a practicing Physician for over four decades.